This new pearlised white Katie Loxton Bridesmaid Pouch has been beautifully finished with the word “Bridesmaid” and a gold branded zip with grey lining and matching coloured panel. making it the perfect clutch for your bridesmaids on your wedding day. 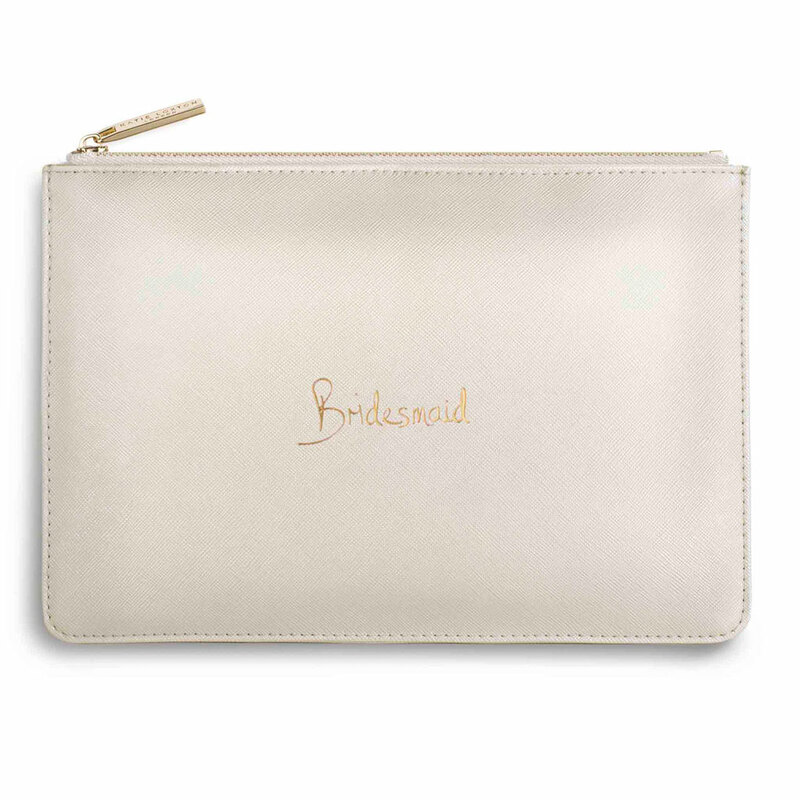 Introducing the brand new collection of bridal Katie Loxton Perfect Pouches. These new clutch bags now have fabulous handwritten sentiments in gold script text on the front creating a very personalised look. 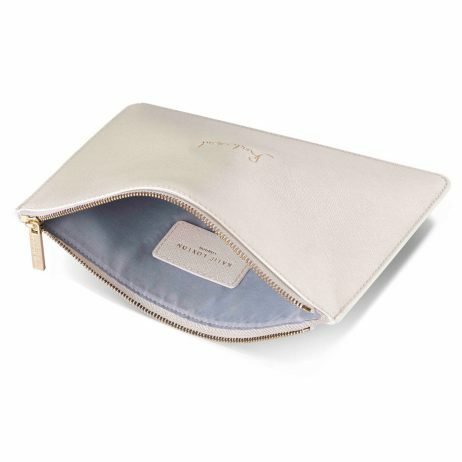 The Katie Loxton Bridesmaid pouch is a beautiful and elegant gift to give your Bridesmaids that they will truly treasure and will remind them in years to come of how special they were to you on your special day. It’s the ideal accessory for your Bridesmaids to carry all of their essentials on your wedding day such as phones and make-up essentials. 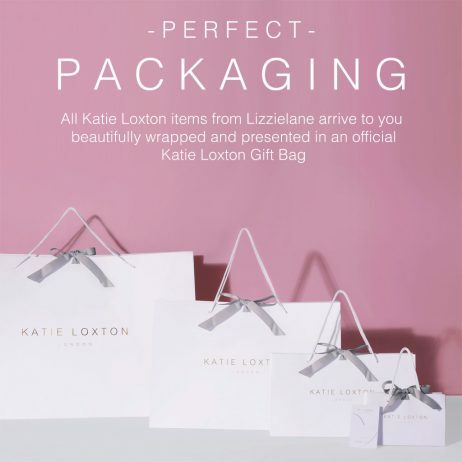 All Katie Loxton Bridesmaid pouches from Lizzielane arrive to you individually gift wrapped and presented in an official Katie Loxton silk ribbon-tied gift bag ready to give. These little bags are fab!! I bought the bride one for me and decided I had to get one for each of the girls too! they arrived in excellent time, bagged up and wrapped nicely in Katie Loxton gift bags. Can't fault the service or quality of the item. 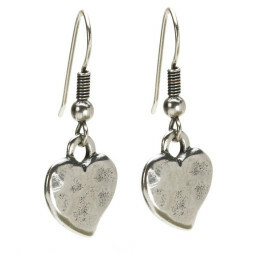 Brilliant quality and very reasonably priced . Delivered quickly and beautifully packaged . Lovely pouches! 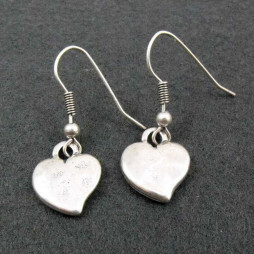 Bought as presents for my bridesmaids. Came beautifully wrapped and packaged! Bought myself one too for my wedding day and will certainly be buying more as gifts in the future! This product is very beautiful and classy. I bought several for my bridesmaids as a gift. Each bag came individually wrapped and bagged. Delivery was fast and I am very happy with the service. Beautiful bag. I've got these bags to gift to my Bridesmaids for my wedding and they're just perfect. Come gift wrapped individually in a beautiful Katie Loxton bag, Also received amazing customer services when one of them was out of stock so thank you very much for that. 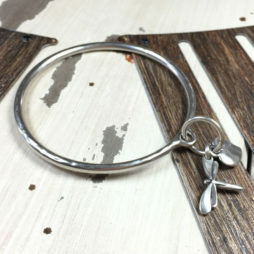 Incredibly pleased with the purchase and quick delivery time from Lizzielane! Exactly what I was looking for for my bridesmaids – great product, beautifully presented in tissue and also came with the Katie Loxton bags. 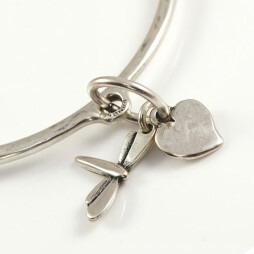 Beautiful gift for my bridesmaids, presented so stunningly in a lovely gift bag. Katie Loxton, Katie Loxton Perfect Pouches, Wedding Gifts, Bride & Bridesmaid Gifts.